My husband and I have just about always been fairly avid video gamers, be it console or PC. We like finding games we can play by ourselves and together. When our son was old enough, we found games that we could all play. As much fun as we were having, there was a gap in our gaming. A little of that hole was filled by TCG like Pokemon, being more strategic, needing to read the cards, and do some math. A few years ago a YouTube channel started up that my husband and I immediately subscribed to. “Geek & Sundry“, which was founded by Felicia Day and Wil Wheaton (two people we both admire and whose work we enjoy). 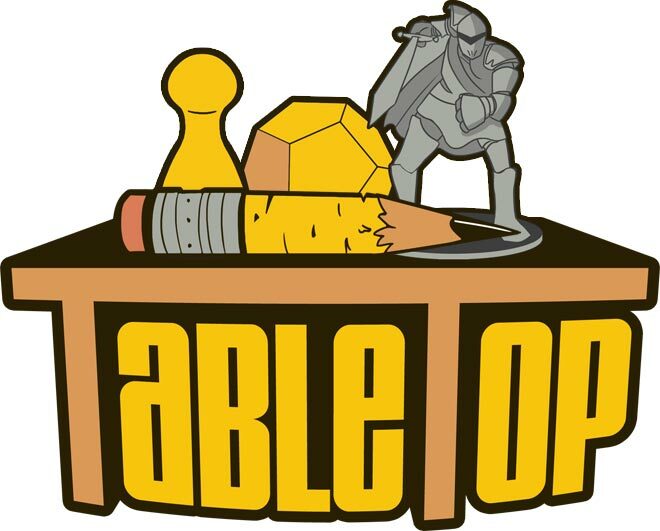 It started with three shows, one of which was TableTop. A show about boardgames! 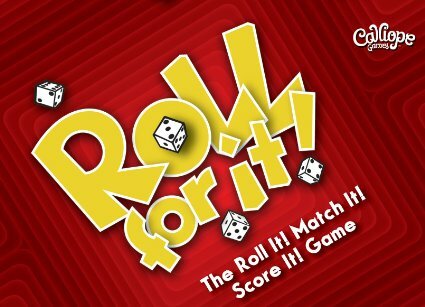 Games that weren’t Monopoly, Connect 4, Operation, or Scrabble! 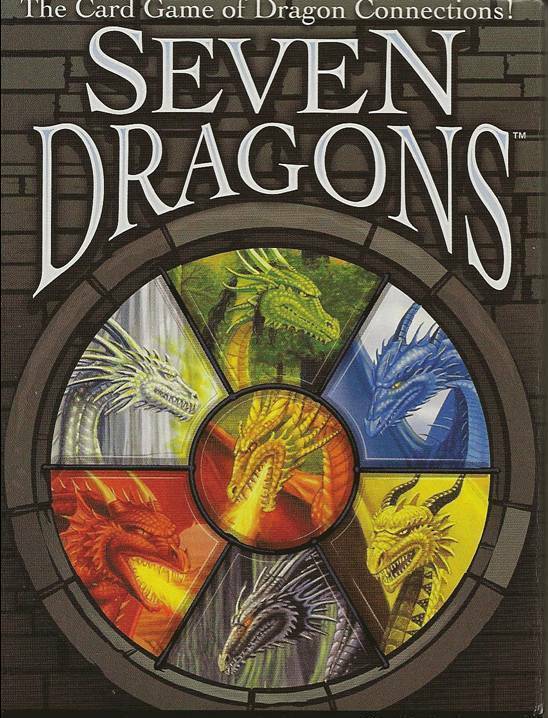 We were hooked, and desperate to know where we could get these games. We quickly found out that thanks to most of these games being published overseas, we pay a lot more than our American counterparts, in most cases around double. The other thing we found out is that over in the US most people can head to their closest Target and pick up just about any board, card or dice game they like. For us, we have to head to a gaming specialist store. Thankfully most of them are also online, but a few still have storefronts. As a result of TableTop, we have been collecting games. With the average “big” boardgame costing at least $60, it takes time. Smaller card and dice games can range from $10 to $30, which makes it easier to add those to the collection. Playing a table top game with my family really makes me happy. It’s time spent that’s not looking at the television, computer, or other digital device. It’s a time of togetherness, and enjoying each others company. 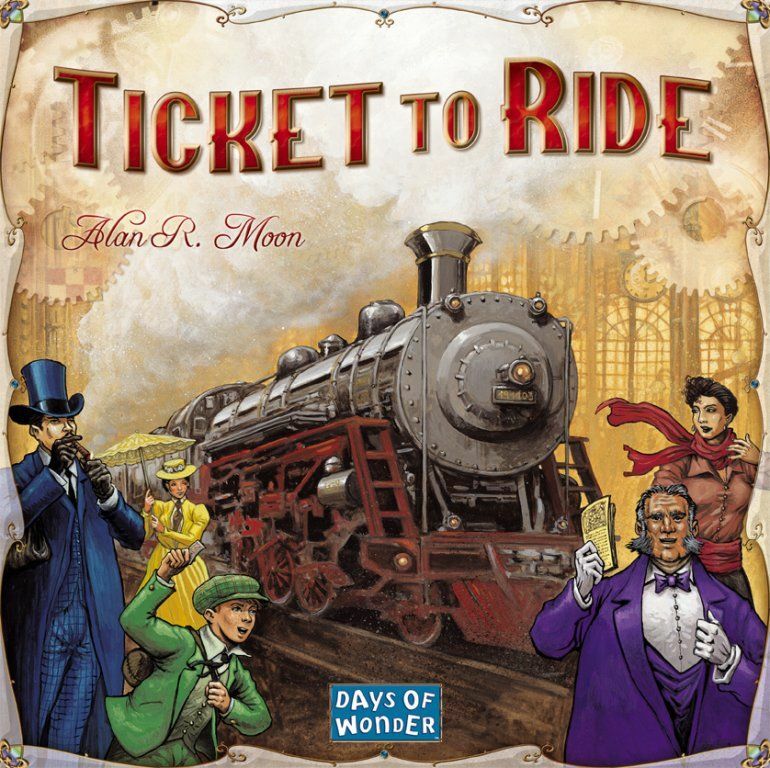 We like playing all types of games, from larger, time consuming, strategy board games like Ticket to Ride, to much simpler, quick play card games like Seven Dragons and Roll For It! I’ve loved sharing games with my family, and I plan on sharing my favourite games here, how they’re played and whether they’re suitable for kids. But in the meantime, I definitely suggest watching TableTop. Getting My Game On with Electronic Arts! 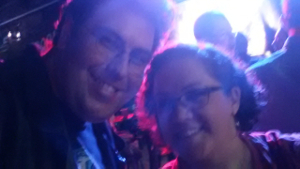 Last night I was fortunate enough to attend the Electronic Arts Australia E3 event in Sydney, thanks to Husband winning tickets to attend. 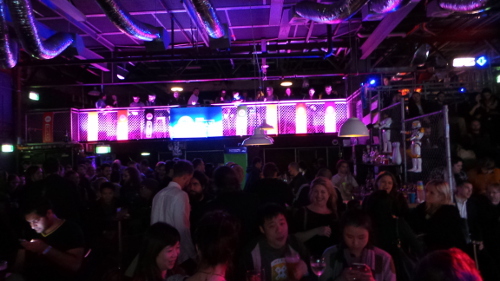 It was held at an interesting venue, the Standard Bowl at Taylor Square. It’s above Kinselas which, back in the day, used to be a bit of a “raging” nightspot. While none of the live E3 events are happening here, a few of the gaming companies are holding screenings of their respective events. I’ve long been a fan of EA games, with the Sims, Spore, Mass Effect, and Plants v Zombies, and I was excited to see what was coming over the next couple of years. People were encouraged to cosplay Star Wars, but I think a few people were put off due to the inclement weather. But we did see a Twi’lek, Storm Trooper, Leia, a rather good Tuskan Raider, and a very tall Darth Vader. Husband and I went so far as to wear Star Wars themed shirts. It was a standard basic drinks with not a lot of food schmooze event. The theme of the night was definitely “Play”. There was FIFA15 to be played, pool, pinball, and some ten pin bowling later in the evening. 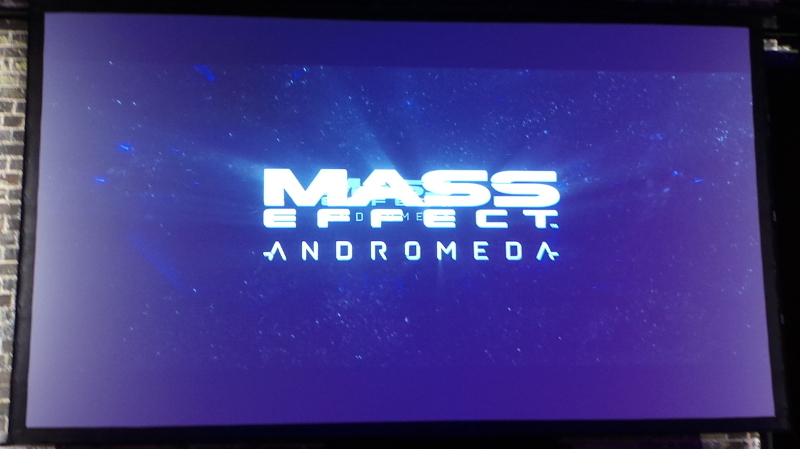 The opening screen was the next chapter in the epic series of Mass Effect. Mass Effect Andromeda looks amazing. 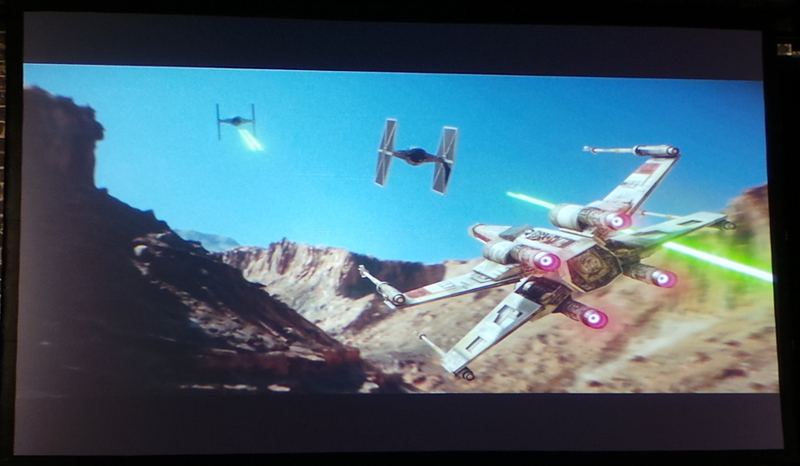 It teased exploration and more amazing graphic art. There was no real information on gameplay or content, but there was the appearance of Johnny Cash’s “Ghost Riders” song. Release information was that it would be out “Holiday 2016”. I’m guessing that means in time for Christmas. Merry Christmas to me! The next installment of Need For Speed was shown next. Bringing together all of the best features from previous NFS games, including detailed customisation. The graphics were incredible, the gameplay looked amazing, and while “car games” are not my thing, Need For Speed fans will not be disappointed. Due for release November 3rd, 2015. Star Wars: The Old Republic is getting a new expansion. Knights of the Fallen Empire is a move towards player driven story. From the sounds of it, the gameplay is going to take a “Bioware” approach, similar to Mass Effect, where your choices will affect your character and the story. It sounds awesome, and it makes me want to sign up for SWTOR now, because they also announced that Knights of the Fallen Empire would be free for current subscribers. Due for release October 27, 2015. The next game was a bit of a surprise, and quite frankly, looks completely amazing. Unravel is a puzzle platformer (one of my favourite types) with a cute hero character. Yarny is a little yarn wrapped character who uses the yarn available to him to go on his journey. Not much was given away about the story, but the game itself looks like a lot of fun. It looks like a game that will appeal to the younger gamers too. There is no official release date, which leads me to think it will be 2016. Last year Plants vs Zombies jumped out of the garden and went into full blown Warfare. 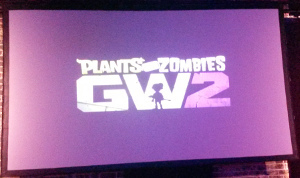 It brought some of our favourite plants and zombies into a PvP world. The big downside of this game was you didn’t have offline solo, or split screen co-op play. This is something they’ve introduced in Plants vs Zombies: Garden Warfare 2. This is really exciting, as it means that my son and I can play it together. There will also be free content updates after release. Due for release Autumn 2016. I’m not a sports game person. I think the last time I played one, it was an NBA game in 32bit graphics. It was terrible, or more to the point, I was terrible at it. In fact, I think it put me off gaming for quite a while. Nevertheless, sports games have come such a long way. Not only in the graphics department but game control and playability. 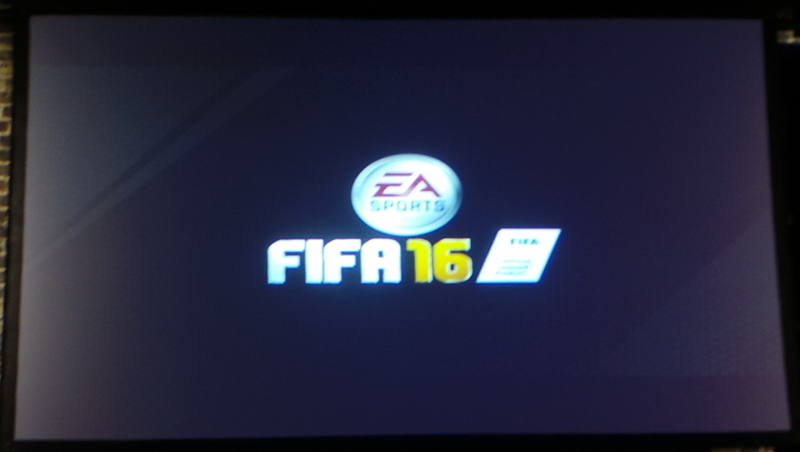 FIFA16 will not disappoint the sports game enthusiasts. They’ve introduced even more game control and balanced play. I think, though, more importantly, there are now women’s teams available to play, including the Australian Matildas. In fact, so much so that one of the Matilda’s current team is going to appear on the cover of the game! It’s very exciting. Release is due September 25, 2015. The next title got a bit lost in the presentation, in between FIFA16 and the giant announcement for the night, it wasn’t as punchy. 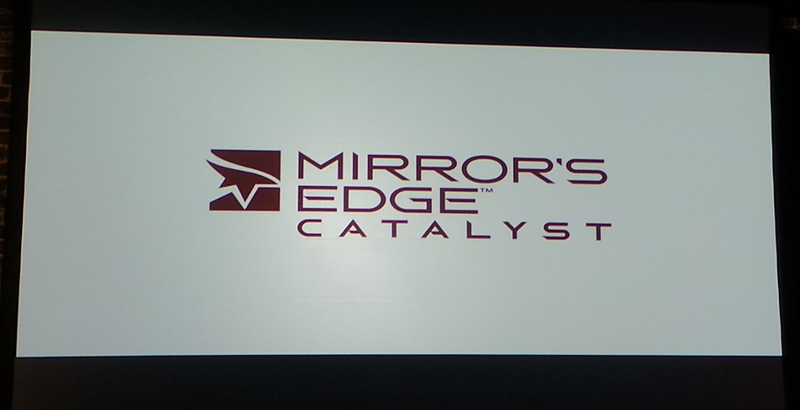 Mirror’s Edge: Catalyst is a free roaming, parkour style, martial arts fighting, story game. It is the origin story for the original game which was released back in 2008/2009. Due for release February 23, 2016. Let’s face it, the entire night was based around Star Wars Battlefront. At least, so said all the t-shirts that the staff were wearing, the drink coasters, and the decor. 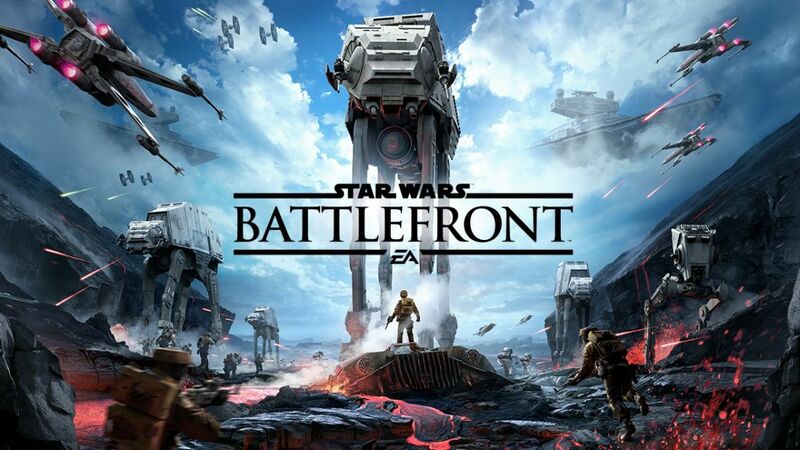 Star Wars Battlefront is an action game played with first or third person view (which is good as I prefer third). You get to travel within the Star Wars universe and complete cooperative missions on or offline, with bots or as a split screen co-op, but does not have an offline campaign mode. Battles are planet based, so you won’t be able to zoom around in space, nor will there be a Battle over Coruscant type scenario. The game’s online multiplayer mode supports up to 40 players in one match and 12 multiplayer maps will be available at launch. These maps will feature four locations from the Star Wars universe – Hoth, Tatooine, Endor, and Sullust. You can choose Rebels or Empire, and there are customisable options for your character. 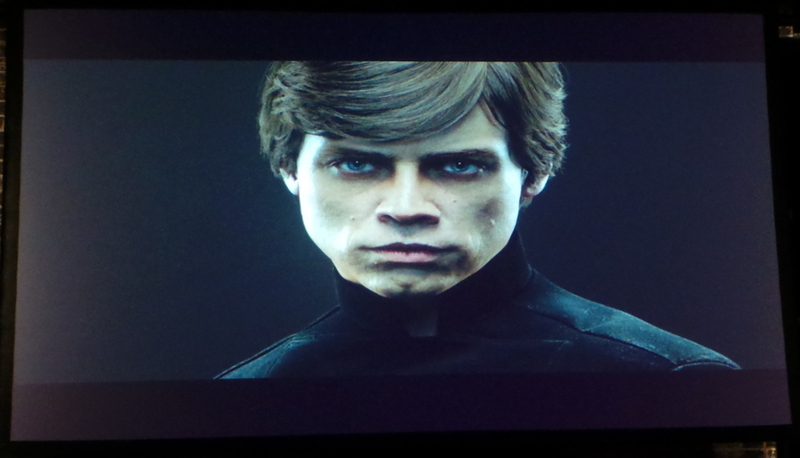 There will be a few playable hero characters too, such as Luke Skywalkeror Darth Vader. It was hard to watch the trailer and not feel super excited about the release of this game. I’m sure that Husband and I will be co-opping this game for hours on release day! Due for release November 19, 2015. It’s been a while since I went to any type of release event, and I had forgotten how much I enjoy them. This one wasn’t “official” for me, so I got to relax a bit more, which was nice. I’m very excited about some of the games coming out from EA over the next 18 months. Is there anything on this list that you can’t wait to play? 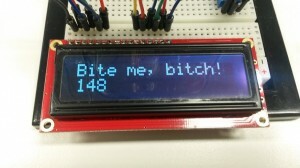 There’s no clever way to use Arduino in a title. 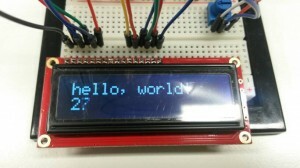 At the end of May I attended a course on Arduino basics, run by Little Bird Electronics. I’ve dabbled with Arduino before, but I wanted a clearer understanding on electric circuits, programming them, and what I can do with them. I have plans, you see. It was almost 7 hours of an information barrage! We started with basic on/off functions, switches. Moved into colour changes and the and/or scenario. Resistors, switches, piezo, LEDs, screens, and so much more. I had a little fun with some of it. The image on the right is a response to the Husband being a bit of a smartass. I think I retained about half, which is fine. 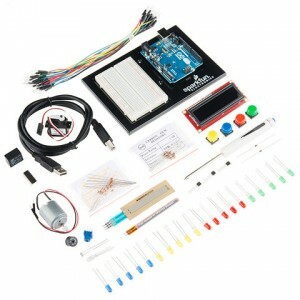 I have the Sparkfun Inventors Kit for Arduino Uno, and the learning guide. While I’m certainly not yet confident with the programming, I’m more confident in my thinking about planning the electric circuits and the programming that I want to do. Learning new things is always fun, and a little exciting when they push your comfort boundaries. Electronics is just one of the things on my list, what’s on yours?